When you think about your surroundings during a natural disaster, style isn’t ever likely to come to mind. Thankfully, New Yorkers, the Office of Emergency Management has done the thinking for you, unveiling a housing unit designed to ride out relief efforts when the next “superstorm” hits. And to our surprise, it’s quite stylish. First, a little backstory: Last year, a report released by the Department of Homeland Security revealed ongoing criticism against the accommodations traditionally used to house residents displaced by natural disasters. In addition to their unappealing aesthetic, the 64-foot long, 14-feet wide FEMA-run trailers, have posed a number of concerns for those who often occupy them well beyond the amount of time they were originally intended to stay. Namely, the housing is expensive, costing taxpayers some $48,000 each, CNS News reported. In highly populated areas like New York City,space is another concern when you consider that a one-acre lot, which normally contains 200 households can only house 10 single-family FEMA trailers. But a new pre-fab prototype by Garrison Architects aims to address some of those concerns. And did we mention, it’s pretty, too? The model units confirm what some housing industry insiders (and many of the tiny-home dwellers we’ve come across here at HuffPost Home) have known to be true for some time: bigger isn’t always better. Not only have they proven successful in places like Europe, smaller modular units can be built inside, away from weather and dirt, with much less wasted material as Tom O’Hara, director of business development at Capsys, explained to Marketplace.org, possibly solving for the issue of getting larger trailers to the scene of a disaster — a concern highlighted in the Homeland Security report. Check out the photos below and read more about Garrison’s project over at Architizer. 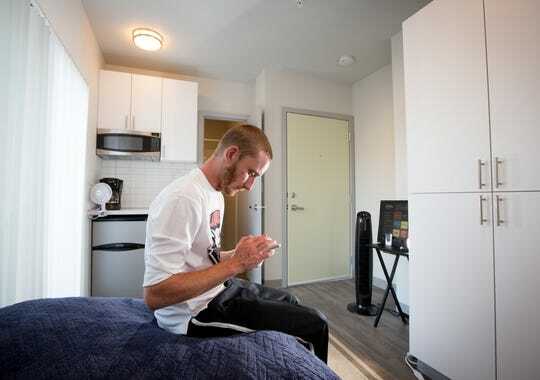 The three-story unit located in downtown Brooklyn is a welcome alternative to theFEMA trailers traditionally used to house residents displaced by natural disasters. 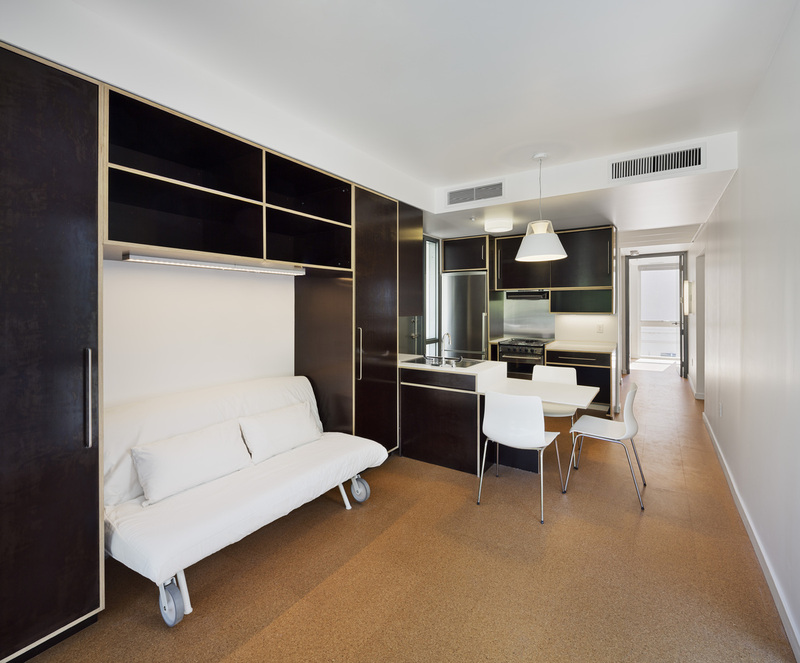 Inside, three apartments range in size from a 480-square-foot one bedroom to an 813-square-foot three bedroom, and include living areas, full kitchens and storage space. According to Architizer, city staff will put this prototype to a year of testing as they live in the unit at five-day intervals at a time. But despite the homes’ comfier offerings and ability to stack on top of one another, questions remain about whether they really area viable alternative for urban evacuees. Two weeks ago we hosted a production team and film crew from FranceTV 2 for a tour of our manufacturing facility. 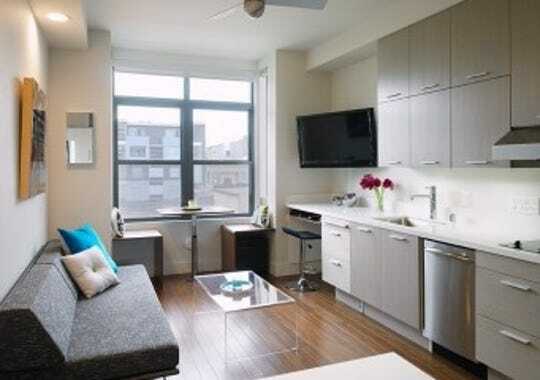 They were visiting NYC to report upon the growing global interest in smaller apartments for dense urban areas. Our upcoming project “MyMicro NY” is a local response to this growing trend. We thought we’d share the film with you – and we hope you are fluent in French! 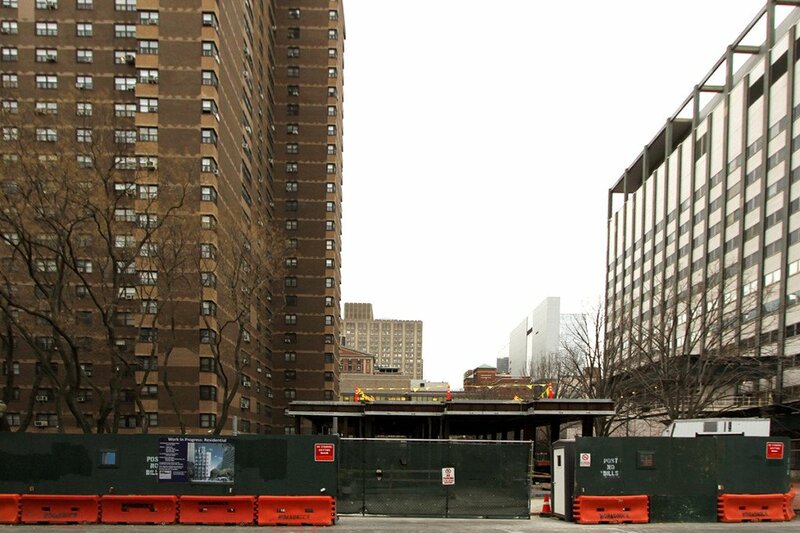 According to no less an authority than the New York Times, Modular Construction is being used more and more in the NYC area for Multi-family construction. And who are we to argue with the NYT? We thought this was a good survey article about the state of our industry in the New York area. We at Capsys have been building Multi-family building for years. We hope you enjoy the article. SHoP ArchitectsB2 by SHoP Architects is the first of three new residential towers planned for Atlantic Yards in Brooklyn. 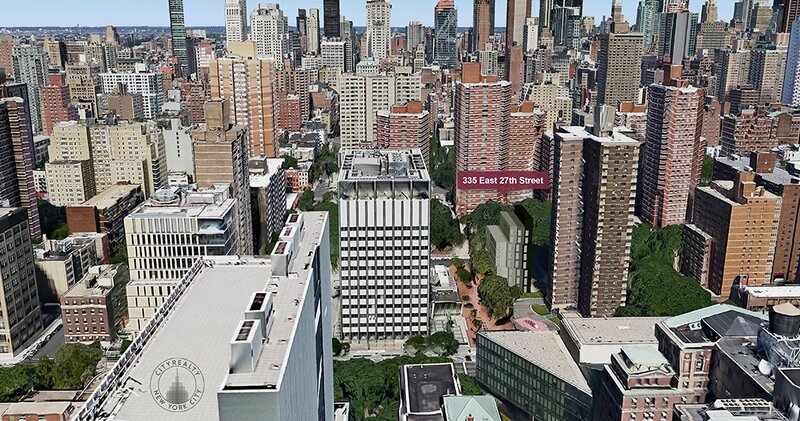 At 32 stories, it will be the tallest modular building in the world. 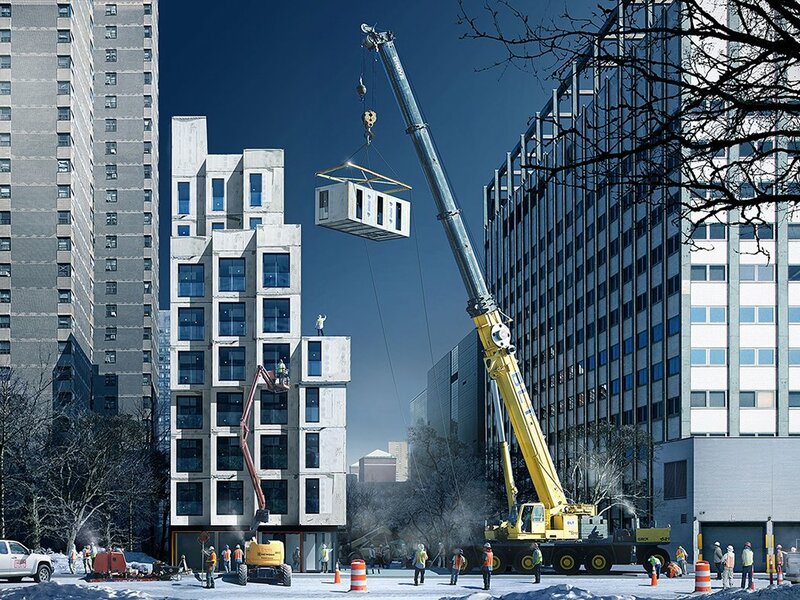 It’s an exciting time for modular building, especially in New York, and as someone who has been deeply immersed in the world of prefabrication for over a decade, I am glad to see the much-maligned building technology finding its proper niche. It’s the killer app for the modular industry. B2, a 32-story tower that is part of a 1,500-unit, mixed-use complex designed by SHoP Architects for Brooklyn’s Atlantic Yards, will soon be the tallest modular building in the world. 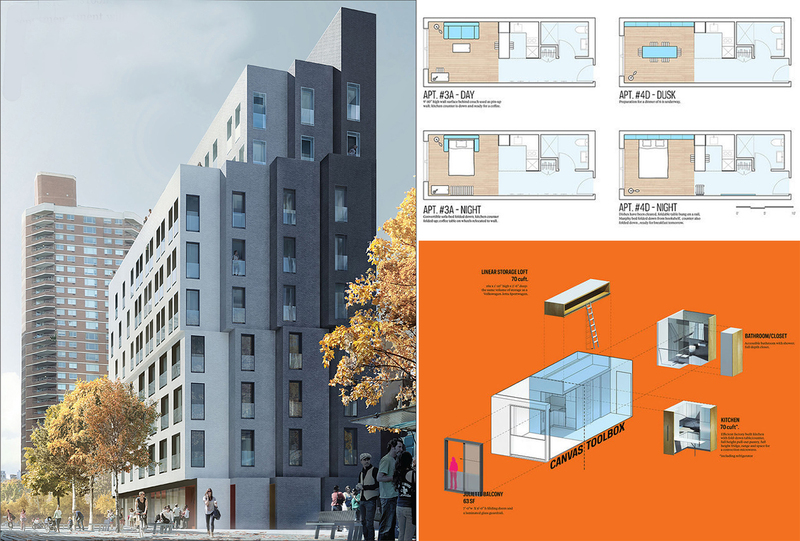 nARCHITECTS recently won adaptNYC’s competition to design a micro-unit apartment building, and will see its concept transformed into a 10-story building by 2015. 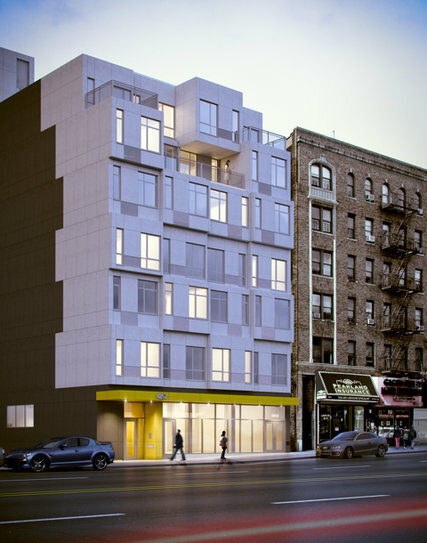 It will be the first multiunit building in Manhattan to be built with modular construction. A variety of housing types, from single-family to midrise/mixed-use buildings, characterizes the over 300,000 square feet of modular housing that GRO Architects is designing in Jersey City and Baltimore. 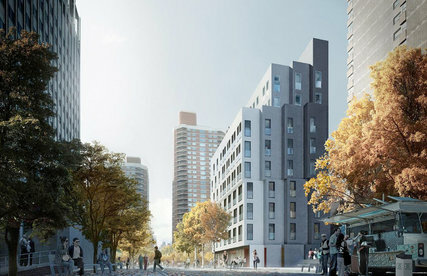 And THE STACK by GLUCK+, one of New York City’s first prefabricated steel and concrete residential buildings, will provide the city with 28 moderate-income apartments. 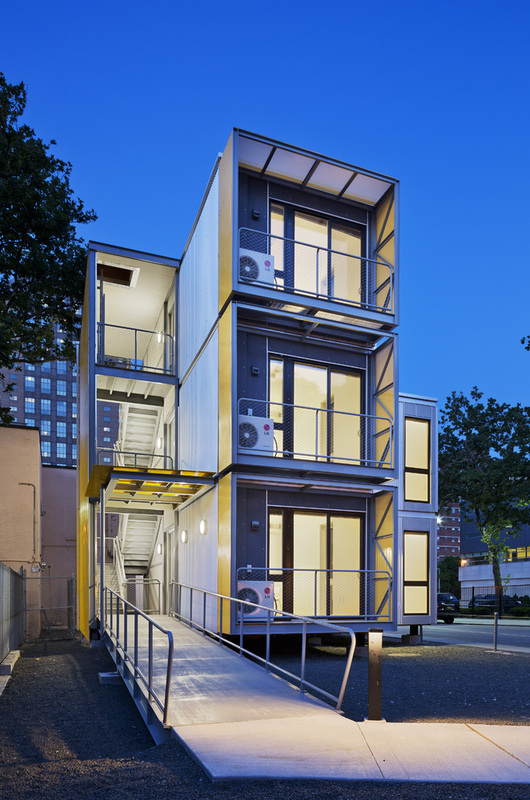 GLUCK+The Stack by GLUCK+ was one of New York City’s first prefabricated steel and concrete residential buildings and offers a new model for sustainable construction. None of these architects are “prefab” architects, they’ve simply determined that for these projects, prefab makes the most sense. It’s the ideal application in terms of efficiency when building higher density and with that, the larger quantities of repetitive units. 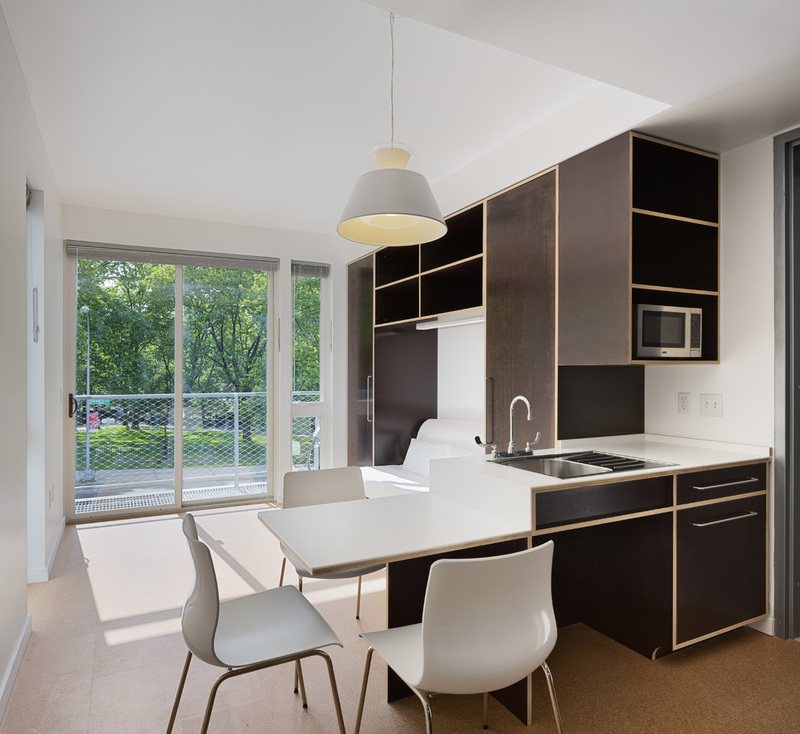 GRO ArchitectsJackson Green in Jersey City, N.J., by GRO Architects features 22 attached single-family townhomes, which use modular construction to achieve sustainable and affordable housing. nARCHITECTSMicrounits in New York City designed by nARCHITECTS. In contrast to regular old housing construction, which happens pretty much the same way it has for decades, if not a century, prefab has long been promising better design and innovation and — the key to its intrigue — a more affordable path to good architecture. Much of that effort has been directed toward the design of single-family homes, what The Wall Street Journal described in 2004 as a “push to turn houses that come on trucks into objets d’art.” But using prefab for single-family homes, given the reality of current trends in financing, construction and development, will never quite achieve the desired goals of efficiency, affordability and good design. 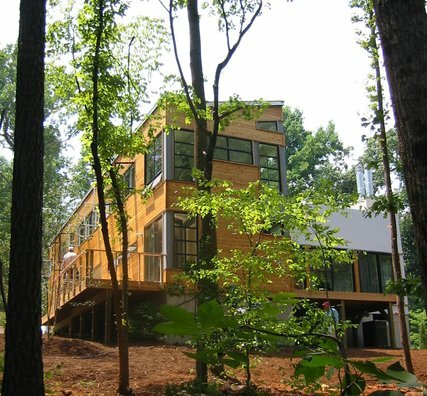 One custom prefab home is expensive and complicated to produce; the second one, less so. But it’s not until one can get to say, 20 or more homes that we’re looking at a new way of building. So single-family prefab remains largely in the realm of the prototype. Almost without exception, the wheel is at least partially reinvented every time. Just over a decade ago, when I published my book “Prefab,” the potential for factory fabrication to improve housing was tenable (and explains why so many architects have been obsessed with taking on the challenge). But after I evangelized for years after about prefab’s transformative potential — including, while I was editor in chief of Dwell magazine, the introduction of an international home-design competition to design a modern affordable prefab home, which in turn led to the development of a line of Dwell-licensed prefab homes — one thing became clear to me: Prefab is best utilized in the design and construction not of single-family homes but of multifamily housing. Bryan BurkhartIn 2004, over 500 people traveled to Pittsboro, N.C., to preview the Dwell Home by Resolution: 4 Architecture. Absent economies of scale, the dreamed-of cost savings are basically impossible to achieve. Imagine building a custom car on a Ford assembly line and you can get a sense of how that might work. The repetition involved in creating a multi-unit building simply aligns with prefab’s capabilities in a way that single-family homebuilding does not. Though prefabrication has a long history of capturing the public imagination dating at least as far back as Sears, Roebuck & Co., which sold nearly 100,000 houses by mail between 1908 and 1940, it has run up against numerous obstacles, from financing to factory standards to social stigma. And, despite a MoMA retrospective in 2008, that hasn’t changed much in recent years. The economic downturn of the mid-2000s decimated every part of the housing industry, and prefab was no exception. “When the credit market collapsed so, too, did the prefab market,” Leo Marmol of Marmol Radziner Architects (whose firm had been part of the Dwell prefab competition) told me recently. His firm, which had acquired and then shut down its factory facility) is today busy focusing on custom design work, using prefab only rarely. 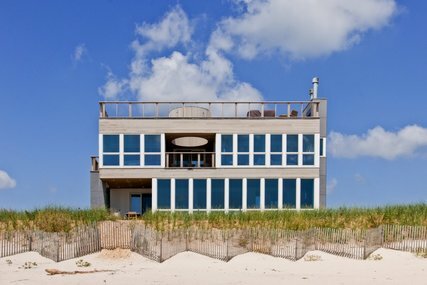 Resolution: 4 ArchitectureResolution: 4 Architecture is doing a healthy business in prefab homes like the Dune Road Beach House, which survived Hurricane Sandy with nary a scratch. They have been getting more and more queries for multi-family projects of late. It’s not that architects shouldn’t use factory fabrication to design and build homes. Many do with great results. Yet architect-designed homes account for a scant 5 to 7 percent of the nation’s housing stock, architect-designed prefab ones even less. Multifamily opens the door for those numbers to increase. 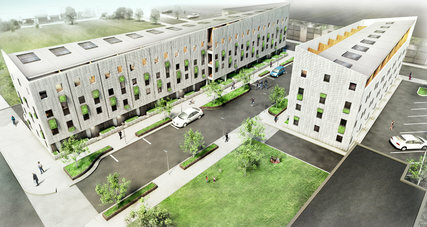 According to Joseph Tanney, the architect and principal of Resolution: 4, which focuses now on single-family prefab but is getting numerous inquiries about multifamily these days for everything from dorms to micro-units, “The residential modular industry is salivating at the prospect of building more multifamily projects. It’s a natural extension to think in terms of aggregation of the modules into higher density patterns, both architecturally and economically. 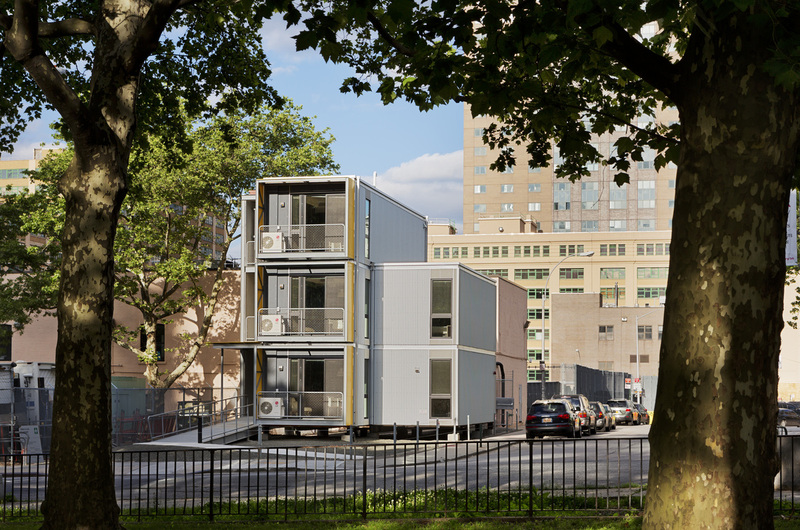 It’s a natural evolution for architects to seriously (once again) contemplate the use of prefab in multifamily applications. Thus far, other building sectors — commercial, institutional — have been, frankly, more innovative, more willing to embrace new tools like parametric software, which is used to create 3-D models that help orient buildings for optimal energy efficiency. Residential is playing catch-up on this and it’s about time. 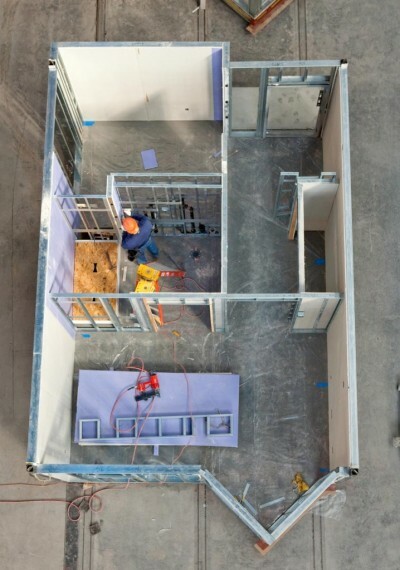 More innovation in factory-produced housing, says GRO’s Robertson, “prevents the cookie-cutter sameness often associated with the process and allows for novel architectural form, nuance and variation” as well as efficiency. This is critical to moving from highly individuated single-family home design to multifamily buildings where individuality can find architectural expression. Now that the market for housing has rebounded and indeed is booming in some cities, multifamily prefab makes sense for many reasons. The demand for rental housing is rapidly increasing as the interest in home ownership has waned post-housing bust. For the first time ever, California cities are seeing the need for more multifamily housing over single-family homes. And a recent study by Smart Growth America that examined three distinct housing development types revealed that mixed-use infill (when buildings are constructed to occupy the space between existing ones) produced 1,150 times more net tax revenue per acre than suburban development. The sort of community a growing percentage of the population is seeking takes the form of a denser, walkable urban neighborhood. Prefab can make that happen more quickly, efficiently and economically than conventional construction — and increasingly, it’s doing exactly that.